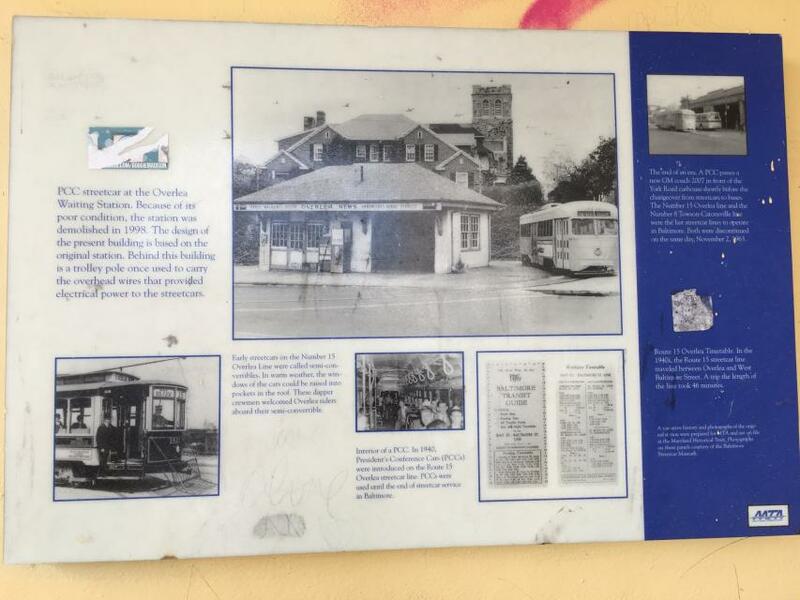 The first streetcar service to Overlea began on July 14, 1903. Overlea and many other Baltimore suburbs developed when streetcar lines were extended from downtown. These lines allowed workers to live away from the noise and crowds of the city and commute rapidly to and from their jobs in city offices of factories. Soon after the completion of the Overlea streetcar line, hundreds of houses and cottages were built on streets off Belair Road. 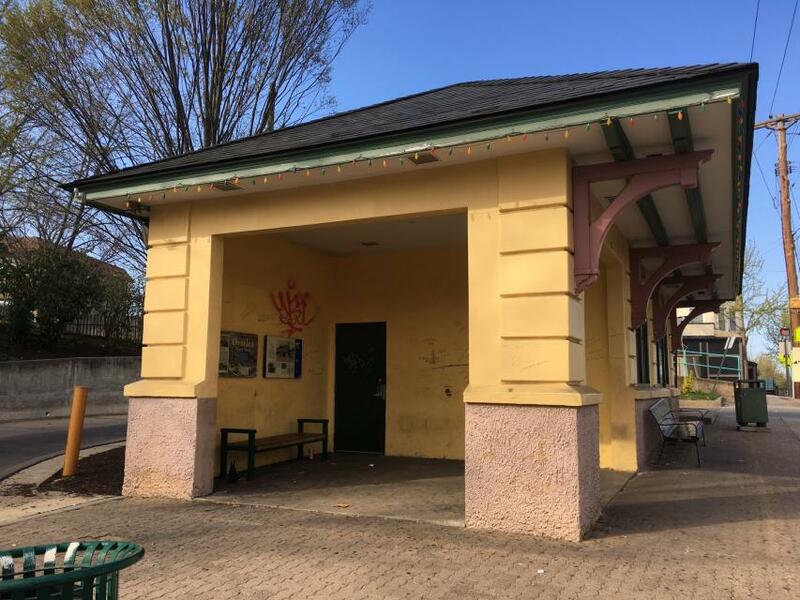 The Overlea Waiting Station was built in 1917 at the turnaround of the Number 15 Belair streetcar line. 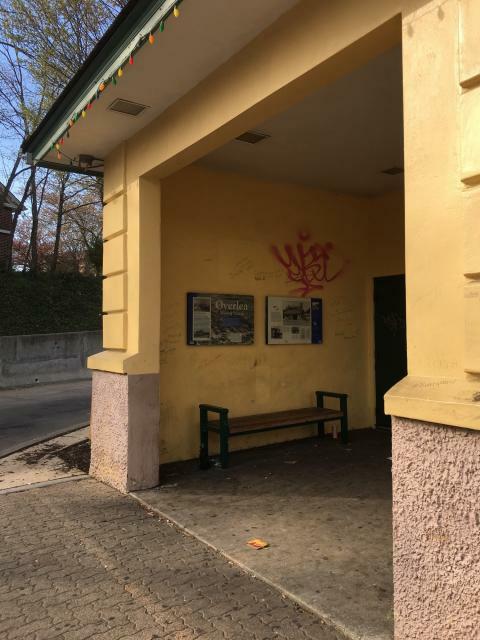 Waiting stations were found on nearly all suburban streetcar lines but most are gone. 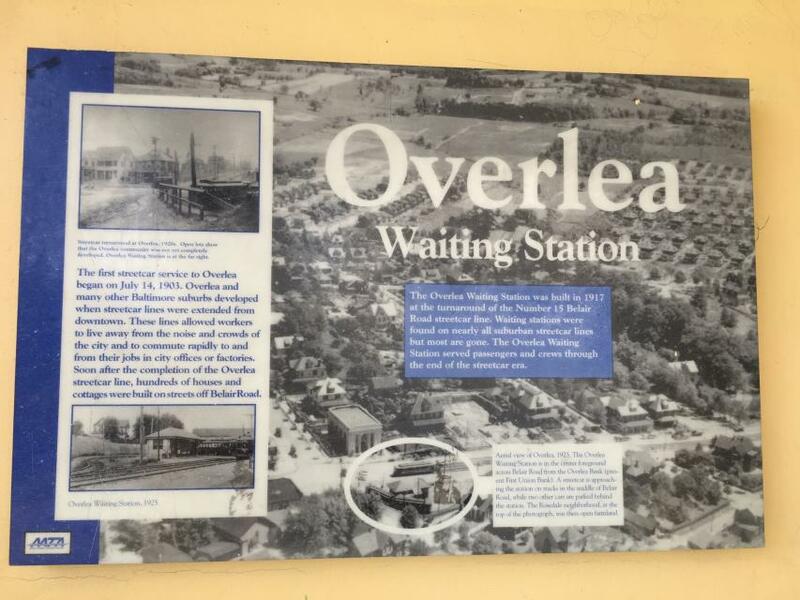 The Overlea Waiting Station served passengers and crews through the end of the streetcar era. This marker can also be identified by its HM code. You can use the hashtag #HM1JHM in tweets, and any other place where you might refer to this marker, including when searching on this site.